Lieutenant Samuel N. Benjamin’s Battery E, Second U.S. Artillery, has gotten short shrift in post-Civil War history. 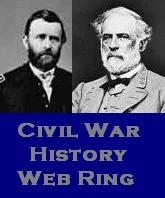 Even in the history of the war—except for Antietam and Fredericksburg—its record was scanted. Rather more has been recorded about it in recent years, however, if (as seems to be the case) its four 20-pounder Parrot guns of the Civil War gradually morphed into the anti-aircraft weapons of World War II and today’s surface-to-air missiles—as part of the U.S. Army’s Air Defense Artillery. This entry was posted in "Knoxville 1863", Battery E Second U.S. Artillery, Samuel Nicoll Benjamin and tagged 2nd U.S. Artillery, Knoxville 1863, Samuel Nicoll Benjamin, Second U.S. Artillery. Bookmark the permalink.